We are happy to inform you that the Government of India is organising the KNOW INDIA Quiz 2018-2019. It is open to all our meditators,their friends,families and anyone else. 🏾 Other Eligibility : all NRI, PIO and Foreign Nationals can apply. Requirement : Complete the online registration at portal www.bharatkojaniye.in. There is no entry fee. 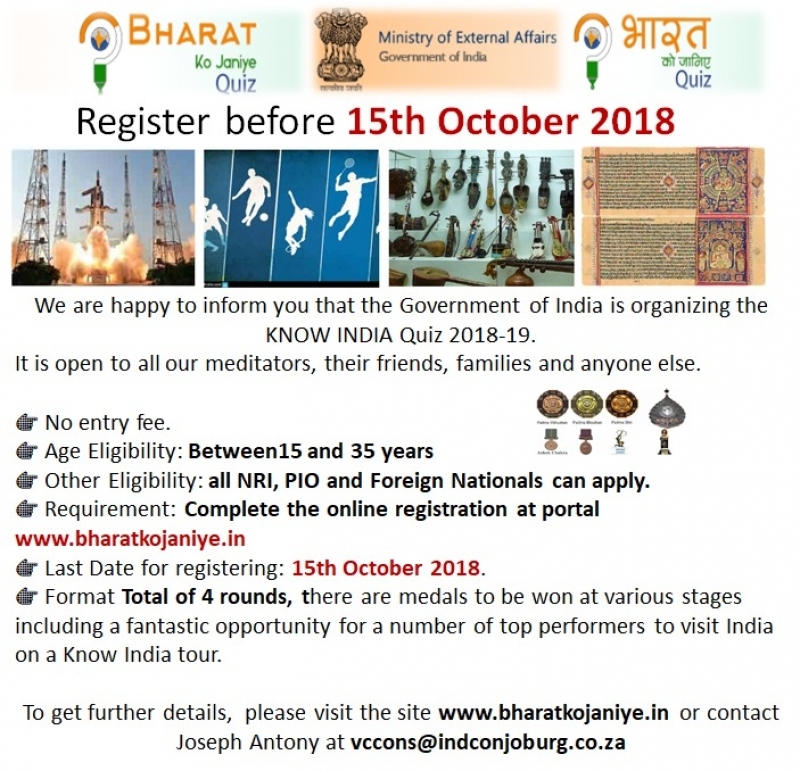 Last Date for registering : 15th October 2018. 🏾 Format : Total of 4 rounds. There are medals to be won at various stages including a fantastic opportunity for a number of top performers to visit India on a Know India tour.